Is You vs Wild Real or Fake ? Can Bear Grylls Die or be Killed ? ‘You vs. Wild’, which aired on April 10, 2019, is Netflix‘s next big step in interactive entertainment or the ‘choose your own adventure’ genre, as we had reported. Although the streaming giants had already begun pushing entertainment to new realms with this technique earlier, they were mostly through shows aimed at children. ‘Black Mirror: Bandersnatch‘ was the first foray Netflix made into entertainment aimed at adults, that demanded participation from them, and pleased at the response and acclaim it received, Netflix decided to expand its library and move into other genres. While this certainly sounds exciting for Netflix and its viewers, ‘You vs. Wild’ is a very different ball game from ‘Bandersnatch’ insofar as it is not shot in a closed set. It is shot out in the open, and often in highly risky and adverse environments. This series effectively take the interactive experience to the next level where viewers control how the adventure unfolds, and thus decides the fate of the real-life star of the show, Bear Grylls. Those who have seen ‘Bandersnatch’ must have felt the pressure of controlling someone else’s life, and making choices, not to mention the dark nature of the content which often led to the protagonist’s death. However, viewers had the mental safety of knowing that it was ultimately a show and the character did not exist in real life. Making choices for Grylls will be infinitely more dangerous since viewers will be exposed to hostile environments and their dangers, and their choices will carry more weight since it will decide the fate of a real person. 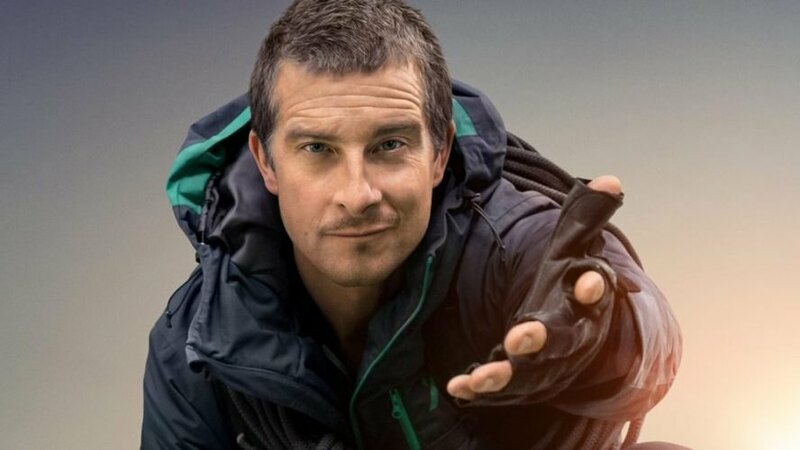 With great power must come great responsibility, but while viewers might be hesitant, Grylls and his team were the ones who wanted to make a show where viewers chose how the adventure unfolded. This was confirmed by Engelbrecht, who said, “They saw that we were doing it in the kids’ space and they had some folks on their team who were super passionate about it and so they came to us. I think they had already two different episode ideas. They’d draw maps. They were totally into it.” Considering Grylls’ willingness to let others decide his fate in high stakes, high-risk environments, here we tackle the question about how real or fake ‘You vs. Wild’ really is, and whether our choices can really kill hardened survivalist and famed adventurer, Bear Grylls. ‘You vs. Wild’ is a family interactive adventure show that has Bear Grylls, Chris Grant, Drew Buckley, Howard Owens, Delbert Shoopman, Ben Silverman, and Rob Buchta on board as executive producers. Ben Simms is in charge of directing the show while Electus and Bear Grylls Ventures are the production companies backing this venture. Naturally, viewers must be asking themselves, are there any choices where Bear Grylls can die. It seems pretty obvious considering he has to brave potentially deadly terrains, face venomous snakes, mountain lions, and his decisions will be guided by viewers who are not survival experts for the most part. We can confirm that your choices are not going to lead to Bear’s death. Netflix could not have included this option in the show since the backlash would have been unimaginable especially considering the show has been marketed as a family program after all. 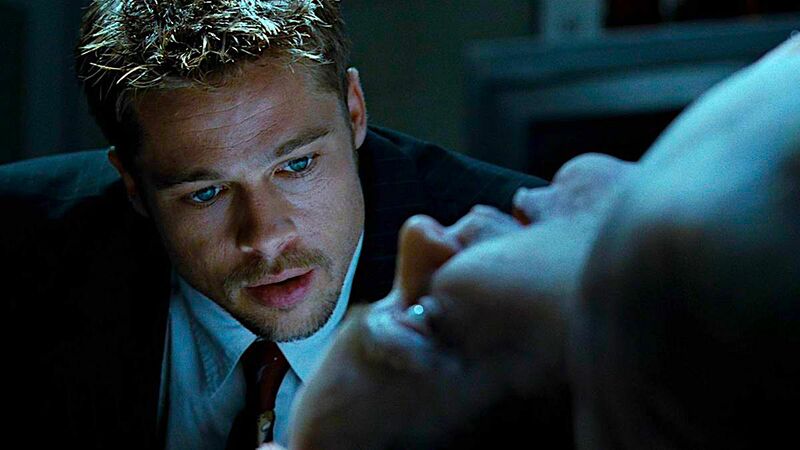 But more importantly, we are talking about death of a person. That’s an extremely serious issue, with or without the show. If viewers do put Grylls in a mortally deadly spot, Netflix loops back the video and ask them to choose wisely the next time around. Basically, the show follows the same format as ‘Man vs. Wild’ which made Grylls famous. On this show on the Discovery Channel Grylls was the one making the tough decision in unfriendly environments as he struggled to return to civilization. Here, viewers will be making his decisions for him. Is You vs. Wild Inspired From Man vs Wild? 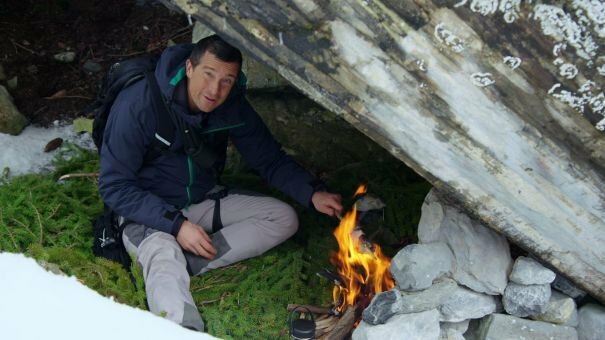 The question most viewers must be asking themselves is whether ‘You vs. Wild’ is authentic since the stakes are so high, even if Grylls is not in mortal peril. To answer this, we must look at how Grylls rose to fame with ‘Man vs. Wild’ and the degree of truth that lay behind the original show. Termed as a survival show, Grylls soon became a household name due to his screen presence. However, with fame came notoriety and unwanted attention. ‘Man vs. Wild’ was soon put under scrutiny and it turned out that large portions of the show were, for lack of a better word, fake. Firstly, Grylls had experience in the SAS which gave him combat survival skills, but he was not trained as a survivalist or a bushman. He did have adventures under his belt like crossing the North Atlantic in an inflatable boat and climbing Mount Everest at the age of 23, but his skill sets were nowhere close to his television contemporaries Les Stroud of ‘Survivorman’ and Ray Mears of ‘Extreme Survival’, who have been career survivalists, even tying up with law enforcement and the military to impart their skills. Secondly, when Channel 4 investigated the authenticity of Grylls’ adventures, they found that he had checked into hotels and motels on several occasions when he was supposed to be out camping in the wilderness. There have also been charges that Grylls took active help from an on-set team that helps him survive. This was most famously exposed when it was revealed that his team had built a raft from scratch and dismantled it for Grylls to assemble on screen, and claim credit. He has also faked several scenes including a team member dressing up as a bear, faking a lava crossing scene and claiming to tame a wild mustang, when in reality it was already a tamed beast. All the above revelations forced Grylls to issue an apology, saying, “If people felt misled on how the first series was represented, I’m really sorry for that.” Discovery too promised greater transparency and admitted that some elements were staged. Their later seasons came out with a disclaimer which stated how Grylls and his crew do receive support in potentially life-threatening circumstances. Is You vs. Wild Real or Fake? 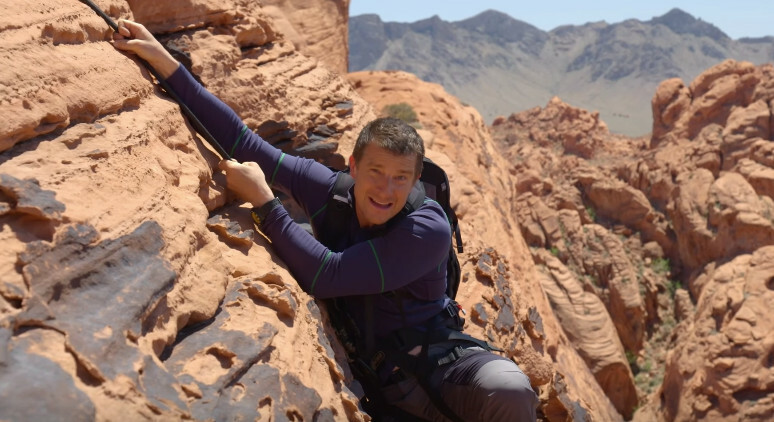 Considering the dubiousness of the original ‘Man vs. Wild’ show, it becomes easier to understand what ‘You vs. Wild’ is about. Although it still puts Grylls in dangerous environments, viewers can rest easier, since he is in no mortal danger at any point in time. Moreover, the presence of a team of expert survivalists has been established already by Engelbrecht, and a camera crew’s presence is evident since Grylls looks at the camera directly while addressing the viewers. Thus, ‘You vs. Wild’ is very much real, but it is not completely out in the wild. You must think of it as being in the wilderness under controlled circumstances, and being assured that the situation does not get out of hand. It is only fair not to judge Grylls for this, since he is at least out there in the wild, while we can experience the immersive experience from the comfort of being in front of our screens. As the final verdict on ‘You vs. Wild’ stands, it is a thoroughly enjoyable series and viewers can embark on different adventures over the eight episodes. If you were hoping for complete authenticity with the life-threatening danger it brings, then you are in for a disappointment, and perhaps noticing that Netflix has marked it as a family show should have been hint enough about the content being suitably moderated. 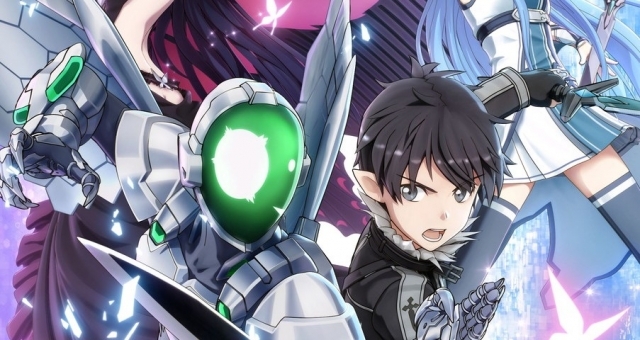 Nonetheless, the series appears authentic much like the original show, and it is definitely interesting to see how you react to situations that could turn deadly, despite the precautions. Most importantly, ‘You vs. Wild’ is like a course in outdoor survival strategies from a man who has been doing it for a long time. Check out the show, which is currently available on Netflix right here. Or read about possibilities of You vs Wild Season 2.